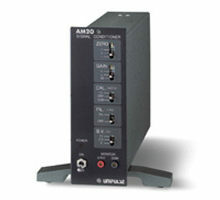 The following is a list of DC amplifiers. 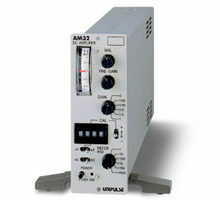 Featuring a built-in bridge power supply for strain gauge type sensors, they are equipped with various functions, such as the electronic auto-zero function, BAL adjustment function that allows unbalanced voltage adjustment for strain gauge type sensors, and CAL value setting function that allows the calibration value set with a digital switch to superimpose the input signal. They can be applied to various experiments and measurements.